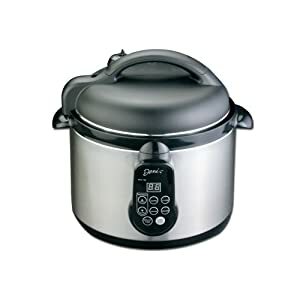 One of the ideal sizes of pressure cookers to use are the 5 quart ones. These are neither too small nor too big. The smaller ones are better suited for single adults or college students while the larger ones are more for big families. The 5 quart pressure cookers are perfect for nuclear families and for couples. Even bachelors living together or sharing food would find these cookers to be very useful. It is not surprising that many manufacturers do offer pressure cookers with this capacity. If you are looking to purchase a new cooker you would be quite stunned with the variety on offer in the market. Picking the right ones can be quite difficult and having some rating scale is probably what you want. 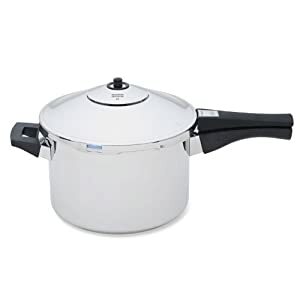 While it is tough to get a ranking system for all the pressure cookers, it is not a bad idea to look at the most popular models on trusted sites like Amazon. Here are the top three models of 5 quart Pressure Cooker that you may want to consider. 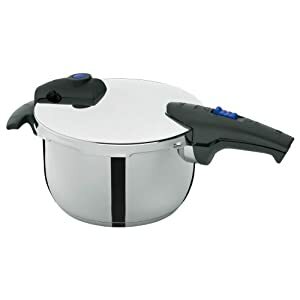 This is a stainless steel pressure cooker made in Germany with the famed German technology and precision. The unit uses a high grade 18/10 steel which is perfect for pressure cookers. The cooker comes with an encapsulated base which is designed to ensure that the heat is quickly transferred from the stove to the food. This not only helps save energy and time, but it also ensures that the heat is distributed evenly for uniform cooking. You can cook at two different levels on this cooker. It has a pressure release valve that can be rinsed easily. You also have a blue pressure indicator that helps you check the pressure. While cooking the pressure is high and the indicator pops out. When the pressure reduces to zero, it will retreat back and you know the cooker is safe to open. The ergonomic handle makes it easy to move the cooker around. Kuhn Rikon is one of the top brands in the kitchen ware space and the 3342 model is one of their best offerings. It has a sauce pan style design made from 18/10 stainless steel. The mirror finish makes it easy to clean. It comes with five safety features including automatic locking. The base consists of aluminum encased between layers of steel, which allow for rapid heat transfer for quick cooking and even browning. If you are not that keen on traditional cookers and want something more modern, then the Deni 9700 is probably what you need. This is an electric cooker that comes with programmable functions. There is also a built in thermostat controls the temperature of the cooking based on the pressure and temperature of the contents inside. The brushed steel finish gives it a contemporary look. Besides, being electric, you have many auto functions that make pressure cooking a very simple and easy task.